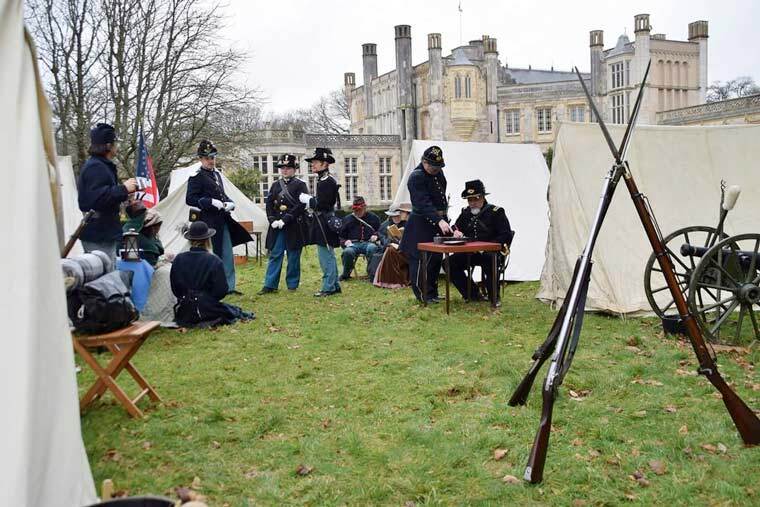 Highcliffe Castle will be welcoming the American Civil War Re-enacting Southern Skirmish Association (SoSkAn) for a major 2-day event on 24 and 25 March. The weekend event at Highcliffe Castle will showcase life during the American Civil War with interactive displays, skirmishes and drills. Battle re-enactments will take place periodically, offering the opportunity for visitors to learn more about the history of the American Civil War through experiencing a taster of life as it would have been in the military camps during this time. SoSkAn is the oldest American Civil War re-enacting society outside of the United States. They aim to honour the fallen of the American Civil War by creating “living history” re-enactments, recreating realistic battle scenes and skirmishes, including artillery, cavalry and infantry forces. The event is free to the public with displays taking place from 11am through to 4pm on both days.